Circle of Light Associates (C.O.L.A.) is a non-profit organization located in the Baden community. C.O.L.A. was formed with the commitment, desire, and dedication to enrich the lives of individuals and serve the less fortunate families in the St. Louis area by providing services in child/adult care, education, job readiness, catering, transitional housing, and social awareness. It is most important to our organization to be good stewards over our programs and donations that we receive. We want to effectively use all our resources to help people in our community. 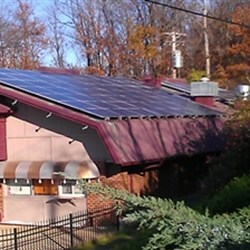 Through renewable energy and Brightergy's Solar Lease program, we have found a way to help with our utility costs, as well as make an environmental impact.